qpzmide, Yakcraz, MikeZ37 and 17 others like this. qpzmide, Yakcraz, mpomario and 17 others like this. BurnNSmoke, qpzmide, Yakcraz and 16 others like this. qpzmide, WestCoastIPA, MikeZ37 and 18 others like this. You're welcome, what did you think? mpomario and BradMc like this. Saturday thanks to my SS @oldglory which one was this? I'm thinking a Coronas Minor, it was really good. qpzmide, Yakcraz, WestCoastIPA and 15 others like this. BurnNSmoke, qpzmide, Yakcraz and 17 others like this. WestCoastIPA, mpomario, BradMc and 13 others like this. qpzmide, Yakcraz, WestCoastIPA and 14 others like this. Yakcraz, WestCoastIPA, CVAC085 and 12 others like this. btort, qpzmide, Yakcraz and 15 others like this. BurnNSmoke, qpzmide, Yakcraz and 13 others like this. 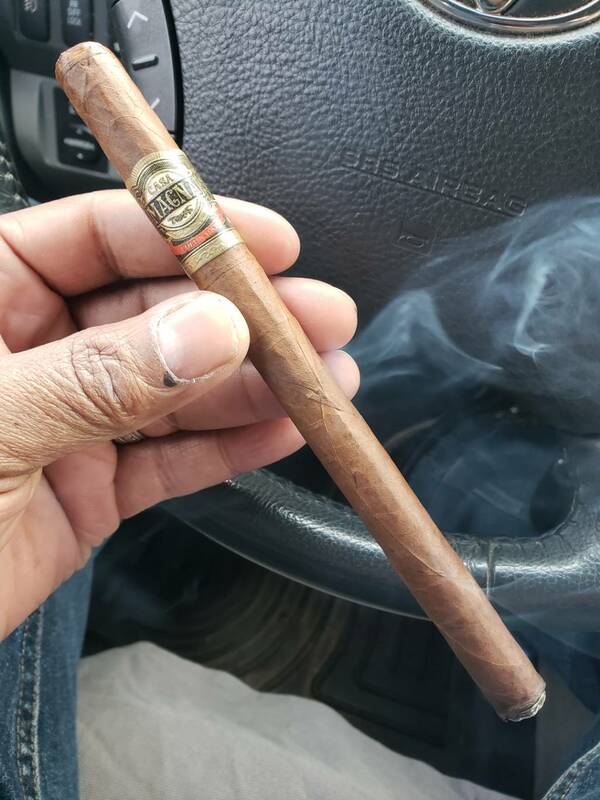 Casa Magna Colorado lancero from 2017.
qpzmide, Yakcraz, WestCoastIPA and 12 others like this. Yakcraz, WestCoastIPA, BloodWood and 9 others like this. K Williams, qpzmide, Yakcraz and 14 others like this. btort, TBBCO LEAF LOVER, qpzmide and 12 others like this. cwant, Alwayslit, btort and 10 others like this. cwant, Alwayslit, TBBCO LEAF LOVER and 12 others like this. cwant, Alwayslit, btort and 12 others like this.